Single Family townhome on Walnut Street in Beacon Hill. The renovated townhouse offers six levels of luxury living space with an elevator to every level. Also featured are a sunny back balcony off the top floor and a sensational triple-tiered roof deck with glass head house with fabulous skyline city views from three exposures. 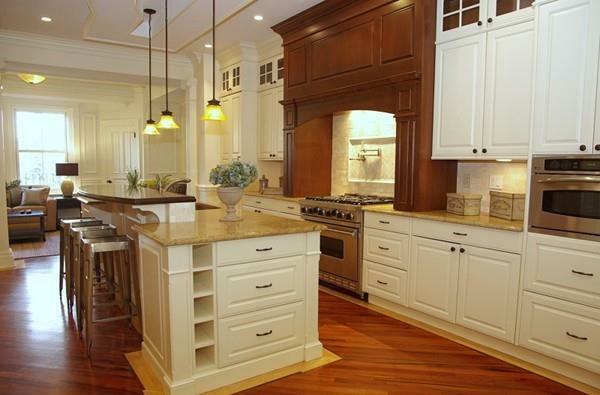 Large open kitchen with Wolf oven, SubZero fridge, custom wood island and warming and cooling drawers. High ceilings throughout home. Located on a quiet, tree-lined street in a landmark neighborhood, and situated between Beacon and Chestnut Streets, this home is both conveniently located and prestigious. Steps to the Boston Common, Public Garden, and State House, nestled in an integral part of a historic community famed for its picturesque village life. One garage space in Boston Common Garage included in the rent. Listing courtesy of Todd Mikelonis of Charlesgate Realty Group, Llc. Listing provided courtesy of Todd Mikelonis of Charlesgate Realty Group, Llc.